How long have you been teaching? 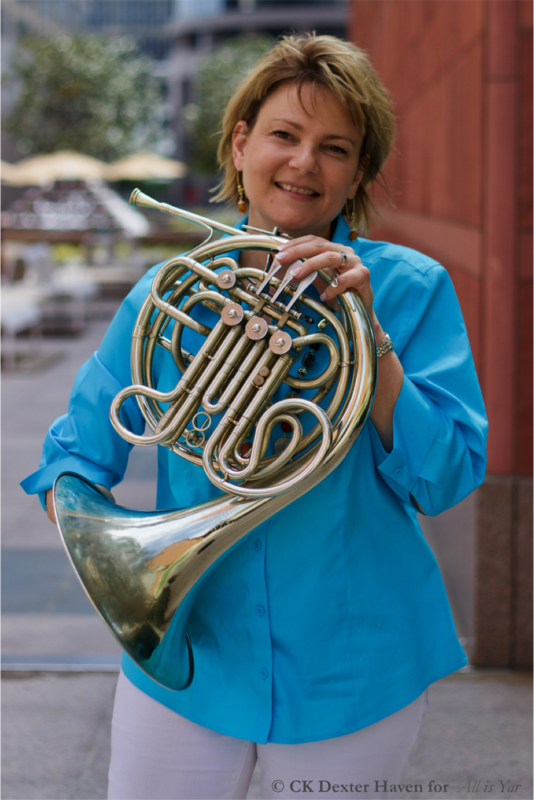 What do you love about teaching horn? Any favorite teaching moments? I have been teaching for about 25 years and I love it more each day. There are so many wonderful moments almost every day that I spend with my students. I absolutely love it when I get an email or text from a student saying how much they appreciate my support and guidance. To me there is simply nothing better that helping a person pursue their dreams. From private teaching to administrative work, orchestral playing to studio recording, it seems like you do it all. How do you balance your responsibilities? Ha! Frankly, I could do better with this particular challenge. I live by my schedule and spend time planning weeks in advance. I have to make sure I have learned the music for upcomming performances and prepared materials for meetings well in advance. I get up early and go for a run in the mornings before I do my fundamentals routine which helps me to stay calm and focused. I also have a family and try to make sure I have enough time to enjoy them. It is not easy, but being organized and making priorities helps a lot. I think all people have a responsibility to be kind and have empathy for our fellow human beings. In my capacity as a department chair at USC, that sometimes means I have to speak up for those who cannot speak for themselves. I try to offer support and encouragement to everyone in a way that is most helpful (not just women). When I was getting started in the Los Angeles recording scene, others did that for me (mostly men, there weren’t many women around at that time). I would like to emphasize that men are not the enemy; ignorance and a lack of kindness are. As women we cannot make progress by disenfranchaising ourselves from our male colleagues, teachers and mentors. We will miss out on the opportunity to collaborate and to share our own gifts. Do you see any specific challenges for musicians in today’s climate? How do you mitigate those on your own and for your students? I think the current climate is actually very exciting for musicians. With appropriate training and an entreprenurial approach, careers in music can be more diverse and individual than ever before. There are so many chamber groups thriving now. That simply was not the case 25 years ago when I was getting started. I try to emphasize the importance of doing what you love, strengthening networking skills, financial responsibility, and planning with my students. Any resources you recommend? Books, podcasts, recordings that changed your life etc. I love reading biographies and am regularly inspired by how resilient people can be. I also love to listen to Doctor Radio on XM and other helath-related podcasts. I think that ours is a physical art and we have to care for our bodies like athletes do.